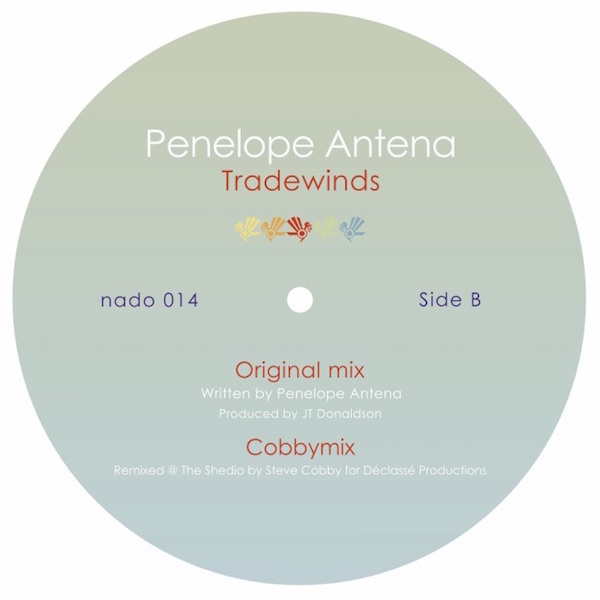 Balearic Beat Goddess, Isabelle Antena`s daughter, Penelope, makes sun shine R&B, stripped back to bare essentials, of drum and bass. As its title suggests, “Tradewinds” is more evocative of the Caribbean, say Rachel Sweet`s “So Different Here” in a sarong among the palms and hummingbirds, than her mother`s Mediterranean. Steve Cobby`s remix adds a Jazz guitar lick, rouses the track from its hammock, and nudges it, still sipping an umbrella-ed cocktail through a straw, towards the dance floor, blinking, yawning, stretching into motion to coconut shell percussion. I was thinking Martine Girault`s “Revival” but that`s just `cos I`d been talking to Señor Mison about the Milk Bar. The key reference point here is Erykah`s “Baduizm”. 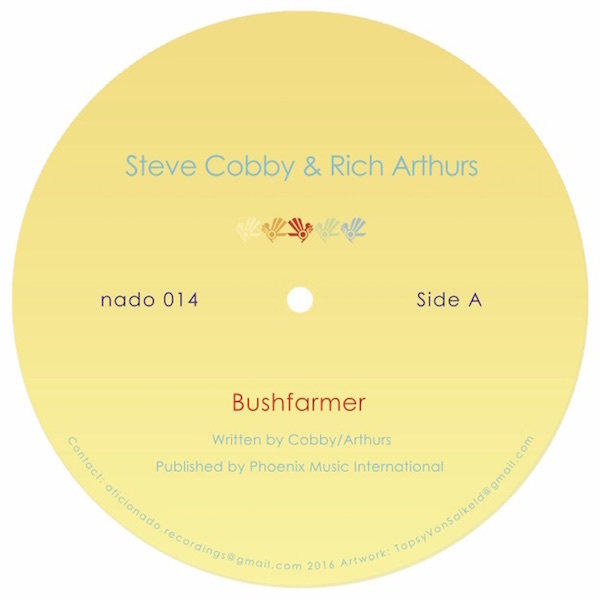 Steve Cobby then teams up with Rich Arthurs for “Bushfarmer”. Four layers, five layers of electro-acoustic counterpoint, guitars like harps, over ten blissful minutes that pay homage to Metheny and Reich, but also mix in Steffen Basho-Junghans` “Smiling Penguins” and more penguins in the form of Simon Jeffes` PCO, and their “The Sound Of Someone You Love Who`s Going Away And It Doesn`t Matter”. The instruments` interplay taking me back to the light that I watched dance into turquoise fractals as I stared out to sea one late Andalusian Summer in Malaga. We`d dropped the acid the minute we were through customs. The music`s intricacies filling my senses much the same, my thoughts impossible to follow, this way and that, not fighting it, surrendering to a calm within chaos. Motionless as a world rushes, stationary. A moment`s respite outside of its confusion and worry. A bubble within its bustle. All I can see are the waves. 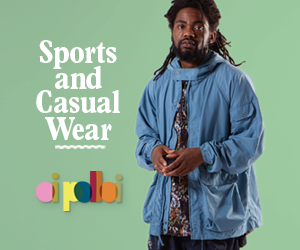 This should be in shops on Monday.